3V Tech's Agitated Thin Film Evaporator TFE here is used to gently dry the wet lecithin by short residence time and low temperature. The wet gum, normally 30-50% water can enrich moisture content lower than 0.2% by using a vertical thin film evaporator TFE/L-HV or a horizontal thin film conical evaporator TFE/HC with adjustable residence time. Our continuous and vacuum drying technologies assure good color, minimal out of spec product and low operator supervision. 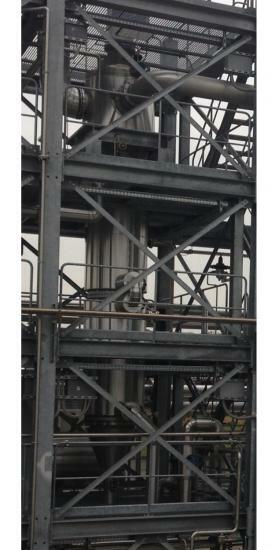 3V Tech's Mabo division has installed several Lecithin Drying systems in the past 25 years.